An effective, anti aging eye care is very important because it is the most delicate part of our face. No other facial part tends to get wrinkles more easily. This is because the skin is very thin and does not contain any subcutaneous fat tissue. If this sensitive part of our face is neglected, the chance to get wrinkles at a young age is very high. During the natural aging process the upper and lower eyelids begin to lose its elasticity, but also hours of screen handling, stress, lack of sleep, reading with inadequate lighting and driving in twilight at night to mention only a few things here, demand a very high level of concentration and stress for your eyes. Therefore it is reasonable to take care in time of this delicate region. The earlier the better. First, start from the inside. Healthy nutrition which contain vitamins, minerals and trace elements are good for your skin. Carrot juice for example contains vitamin A which is important for your eyesight. Only one glas a day can protect you from night blindness or increased sensitivity to light. Foods containing vitamin C and D can prevent glaucoma and reduce the risk of macular degeneration. You can find these valuable nutrients in a variety of fresh fruits and vegetables, but also in meat and fish. So this is a good basis to begin with healthy nutrition, but also the external eye care is very important. In the mid twenties the skin slowly loses elasticity and you will notice fine wrinkles around your eyes. Some may be smile lines or blinking lines but many will occur because of negligent treatment and care. To achieve a effective regeneration and youthful appearance of this sensitive area it is essential to choose products of high quality and excellent skin compatibility. Creeping oils are thin, fluid chemical oils which actually creep into your skin. They do not contain vitamins or regenerative substances in order to beautify this area. High quality products contain natural oils like jojoba oil, almond oil or primrose oil. Enriched with vitamin E and A, provitamin B5, Allantoin and Urea you can be sure to have a fantastic eye care that will prevent premature wrinkling. Jojoba oil has very good skin properties and gives lipid-deficient skin a silky feel. Get some good dry skin care tips here. 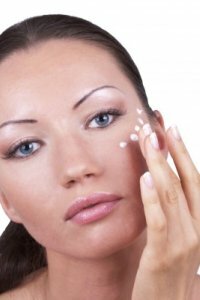 Look for these substances when you buy skin care products for your eyes. Many creams contain more water than caring ingredients and therefore won't smooth wrinkles or have any firming effect. Make it a daily routine and apply your magical cream or gel softly into your skin without rubbing. Gels containing ceramides and hyaluronic acid are very good to deeply moisturise the sensitive skin under your eyes, while creams are nourishing and very suitable for demanding skin with premature signs of aging. a thoroughly gentle cleansing is a must ! Using gel and cream together is a perfect combination to achieve a beautiful and impressive look. Copyright © 2010-2012 anti-aging-beauty-guide.com All Rights Reserved. 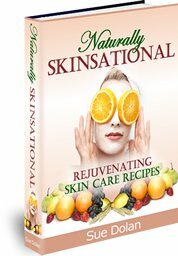 If you want to know which beauty secrets your kitchen has to offer, then this e-book is a must read. I personally love the almond-honey skin peeling. Simply great !